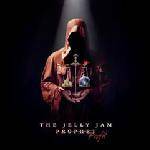 More information: The Jelly Jam is a three-piece rock band, consisting of Ty Tabor of King’s X on guitar, keyboards, and vocals; Rod Morgenstein of The Dixie Dregs and Winger on drums and keyboards; and John Myung of Dream Theater on bass, moog, and chapman stick. This is Jelly Jam’s fourth full-length album, their first all-out concept album with the basic story written around the idea that we, the people of Earth have abused and exhausted the planet’s resources forcing mankind to either find a new home or face extinction. What was a kind of outlet for creative surplus and started under the name Platypus a few years ago, has now established itself in the form a solid community. After the release of two records and after the leaving of keyboarder Derek Sherinian, the remaining Platypus protagonists Ty Tabor, John Myung and Rod Morgenstein sought new challenges under the banner of The Jelly Jam. In 2002 their self-named debut album came out; two years later, the successor 2 was delivered to the shops and in 2011 the band released their third album Shall We Descend.